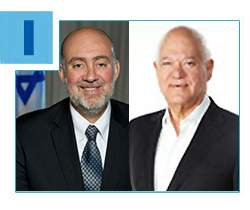 Lauded for his eloquent advocacy of the Jewish state, Ambassador Ron Prosor, Israel’s Permanent Representative to the United Nations from 2011 to 2015, will deliver the keynote address at The Main Event, Wednesday, February 17. Don’t miss the opportunity to hear from this dynamic speaker (pictured, left) and to celebrate Israel. Chaired by Diane and Alan Lieberman, the event also will include presentation of Federation’s 2016 Friend of Israel Humanitarian Award to long-time leader George Feldenkreis (pictured, right), and a special performance by a capella sensation The Maccabeats. Watch Ambassador Prosor’s inspiring 2014 speech at the UN General Assembly by clicking here. For event details and to RSVP, click here. 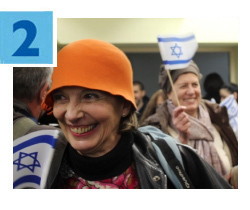 Through our Annual Campaign, Federation helped more than 7,900 French Jews immigrate to Israel in 2015 – an all-time high for aliyah from France. This is the second consecutive year Israel has welcomed a record-breaking number of French olim (immigrants), and Federation’s partner, The Jewish Agency for Israel, has provided vital services to assist the newcomers in acclimating into Israeli society. The Jewish Agency and the Ministry of Aliyah and Immigrant Absorption are also intensifying efforts to help others emigrate from France in light of the challenging economic, social and security situation there. 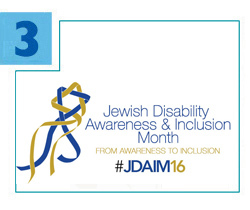 February is Jewish Disability Awareness and Inclusion Month worldwide, and Federation has convened local synagogues and other organizations to present programs in the coming weeks that champion the rights of all people to participate fully in Jewish life. From a bike ride to special Shabbat programming to the screening of a new documentary film about the Israeli Autistic Community and culture, there is something for everyone. Please join our community during this meaningful month. For the full calendar of events and to RSVP, click here. 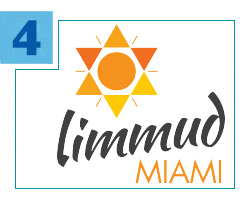 Calling all volunticipants for Limmud Miami 2016! Join the Jewish Volunteer Center of the Greater Miami Jewish Federation in being part of this special Jewish Learning Festival, taking place Sunday, February 21 at the FIU Kovens Conference Center. Volunticipant opportunities include greeting and registering Limmudniks, working the information desk, and setting up event session rooms. For details, click here or contact Lori Tabachnikoff at ltabachnikoff@gmjf.org or 786.866.8680. 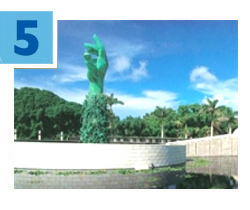 The Holocaust Memorial Miami Beach, a Committee of the Greater Miami Jewish Federation, seeks volunteers to become onsite guides through its Docent Development Program. By attending eight training sessions, you will learn about the Holocaust and the creation of the Memorial itself so that you can bring extra meaning to visitor tours. Space is limited and the deadline to apply is Monday, February 9. Click here for more information or contact Daniel Reed at dreed@gmjf.org or 305.538.1663.